Location: Standing in the center of the Songliao Plain, southwest of Jilin Province, Siping is located at the convergence of Jilin, Liaoning and Inner Mongolia. 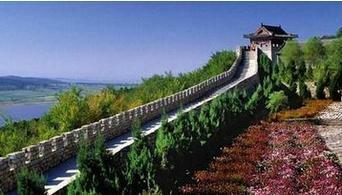 It is bordered by Changchun, the capital city of Jilin in the northeast. History: Since the Shang Dynasty (16th-11th century BC), this region had been inhabited by settlers. Historically, it was inhabited successively by Fuyu, Korean, Kitanyes, Jurchen, Mongolian, Manchu and kingdoms of these ancient ethnic minorities in Northeast China. Physical Features: Located in the hinterland of Songliao Plain, nearly eighty percent of the city's territory is occupied by plain area, while hilly area is in the second place, at a percentage of fifteen. Mountains only account of six percent. On the whole, the terrain of the city declines from southeast to northwest. When to Go: Spring and autumn are favorable for visiting, however, snowscape in Siping's winter is also attracting. Yitong Volcano Group is a national nature reserve consisted of sixteen volcanoes. Large-scale rock caves and columns of pagoda-shaped rock scattered around the volcanoes may bring people into exceedingly fanciful land. Relying on its unique volcano landscape resources, Yitong is always attracting frequent influxes of geologists and tourists.